Work has officially started as we prepare to double the number of ladies’ loos and make our theatre accessible for the first time in over two centuries. 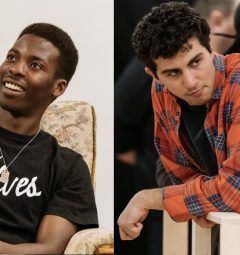 For the next nine months, you will be part of this exciting next phase of our development – here is everything you need to know about your brand new Old Vic experience. The pros: our current Box Office is making way for our brand new accessible entrance on Waterloo Road. The cons: a large part of our foyer will be temporarily out of bounds and space will be limited. How we’re fixing it: a temporary Box Office will be in operation in the part of the foyer not blocked off for building work. Because the majority of our audiences are helping us to be greener by using e-tickets, very few people actually use this area to collect their tickets. Our brilliant team will still be on hand to help you book your tickets and assist with any queries throughout the day and before each performance should you need them. You will still be able to access our cloakroom but we ask that you travel light to avoid the need for this if possible. The pros: by moving the rear wall of the auditorium forward, we are creating enough space for a new foyer and Box Office area that will be fully accessible for wheelchair users. The cons: there will be no access to the stalls from the foyer. The pros: we are installing a lift that will allow those with access requirements the chance to experience Penny for the very first time. Oh, and the small matter of doubling the amount of ladies’ loos. The cons: Penny downstairs will be out of use for the duration of the development (sob) but will instead be on the first floor serving a delicious selection of drinks, cold snacks and sweet treats. We advise those sitting in stalls to purchase pre-show and interval drinks from our stalls bars inside the auditorium. Open drinks will not be permitted outside of the building. How we’re fixing it: there will be a temporary pop up bar in the foyer and you can still visit Penny on the Dress Circle level as well as the Baylis Bar. For those seated in the stalls we will also have a selection of drinks, including wine and champagne, on sale in the auditorium. Please note that doors to the auditorium will open 30 minutes before the start of the show. The pros: we’re doubling the number of ladies’ loos. 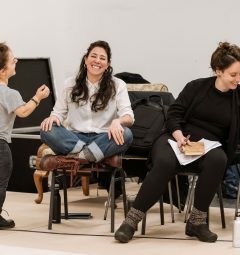 The cons: none of the loos in the theatre will be open whilst this work happens. Those seated in the Baylis and Dress Circles will have to walk down to the main entrance – there are no longer any toilets at the top of the theatre whilst works are ongoing. You will have to queue outside (although we hope not for long) which could be cold during winter months so please don’t forget your coats. We will be picking our favourite tweets each week from our most entertaining loo queuers. It is difficult for us to anticipate how long this will take so interval times will currently remain at 20 minutes but do not worry – we will not start the second half of the show until you have returned to your seat. As is currently the case we will only have one accessible loo during the build – please respect your fellow theatregoers and only use this loo if you have access requirements. This is an incredibly exciting moment for our theatre and whilst we are very pleased to be able to share this journey with you, we want you to continue to have the very best experience at our theatre. The production you will see on stage will be entirely unaffected by any of the works happening front of house. We appreciate your patience during this time and welcome your feedback on how we might improve over the next few months. 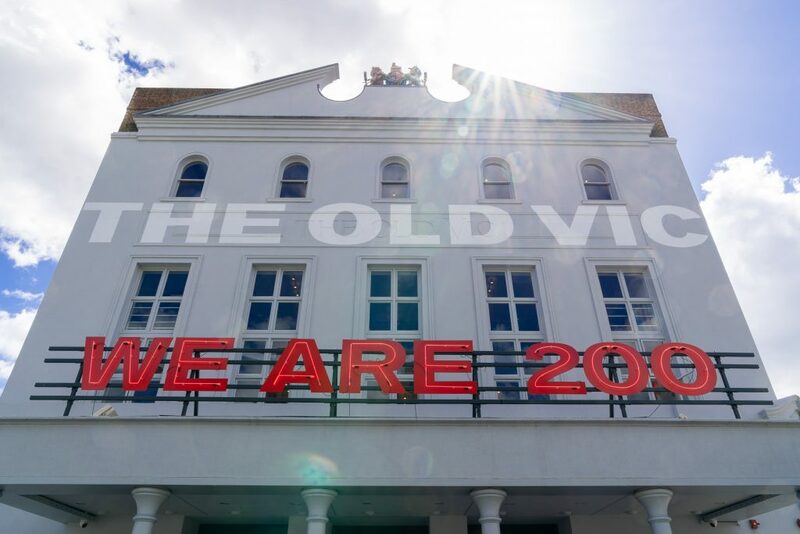 You can reach the team at feedback@oldvictheatre.com.